The Independent National Electoral Commission (INEC) has postponed the supplementary governorship election in Adamawa State it earlier scheduled for Saturday. The decision is in compliance with the order of a state high court. Instead, INEC said it will only hold supplementary elections in two State House of Assembly constituencies in the state on the same day. 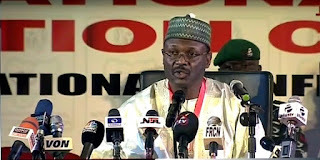 INEC had fixed Saturday for supplementary governorship elections in Adamawa and four other states, after declaring the elections on March in the states as inconclusive. The four other states are Plateau, Bauchi, Kano, Sokoto. The commission later said it would collate the results of a local government area earlier left out in Bauchi, which could have led to a review of the decision to hold a supplementary poll in the state. But the state governor, Mohammed Abubakar, and his All Progressives Congress (APC) later got a court injunction against the planned collation exercise. This has forced INEC to suspend action on the governorship election in the state pending the determination of the suit by the governor and the APC. On Thursday too, a state high court in Adamawa also granted an injunction restraining INEC from holding supplementary governorship polls in the state. But the injunction did not affect the supplementary polls for the two state legislative seats in the state. 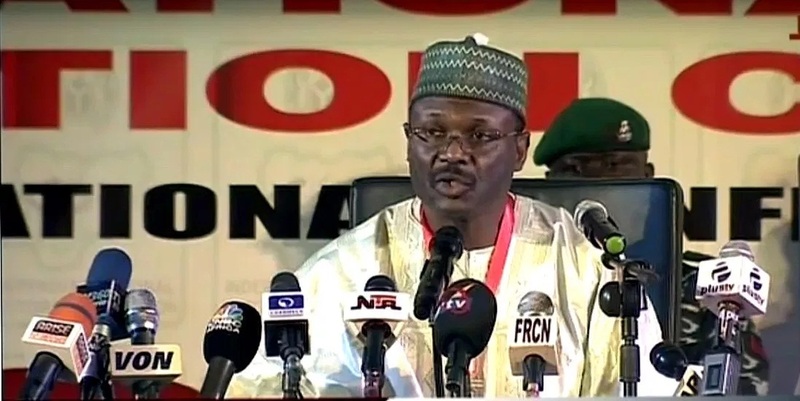 According to a spokesperson of INEC, Festus Okoye, at a press briefing in Abuja on Thursday, the two constituencies where the elections will hold are Uba/Gaya and Nassarawo/Binyeri in Hong and Mayo-Belwa local government areas. The Nassarawo-Binueri State Assembly election was deferred due to the death of the APC candidate before the election, while the Uba/Gaya State Assembly election was not concluded on March 9 due to the cancellation of results in some polling units. “So in relation to Adamawa State, we are going to hold elections in two state constituencies,” Mr Okoye said. The Adamawa governorship election was declared inconclusive by the electoral commission because the margin of victory was less than the cancelled votes in the state. Before this decision, Mr Fintiri of the Peoples Democratic Party (PDP) was leading his closest rival, Governor Umar Bindow of the APC. The commission stressed that the court judgment affected only the governorship election, not the state constituency elections. “In these constituencies, elections will hold as it has nothing to do with the action before the court,” Mr Okoye said. INEC also said it has taken steps to stop the court order barring it from holding the supplementary governorship poll.